It was a cold, dry, sunny day. The snowpack which was very wet has now frozen very hard. In a few places there was a very thin covering of fresh snow on top of the hard surface. 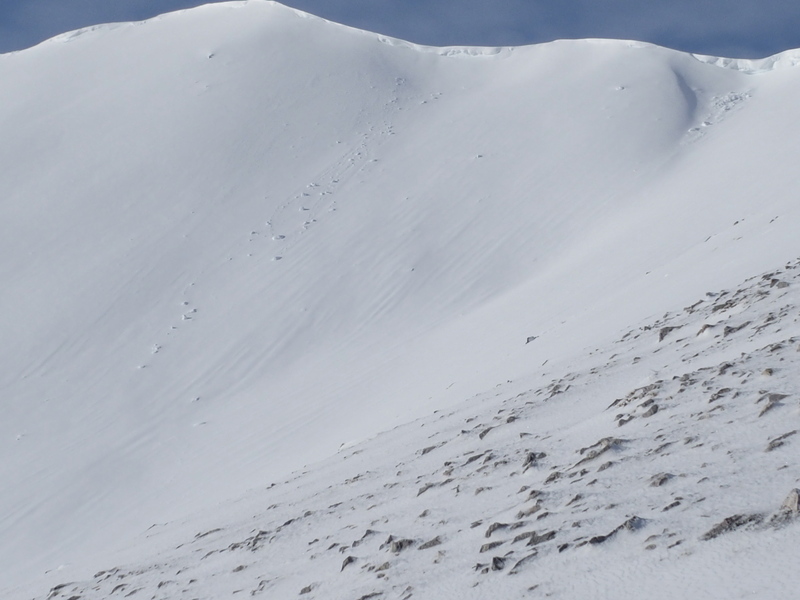 Crampons and ice axe are pretty much essential for mountain travel. 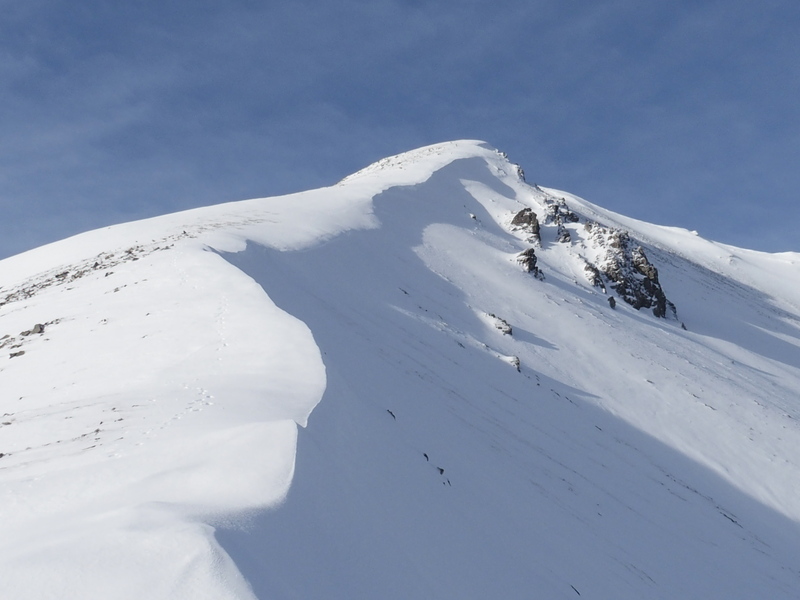 On steep snow covered slopes slips, trips or falls could be dangerous and stopping, even with an ice axe, would be difficult. Creag Dhubh, Beinn Eighe from Kinlochewe this morning. Quite a definite snowline at 450 metres. 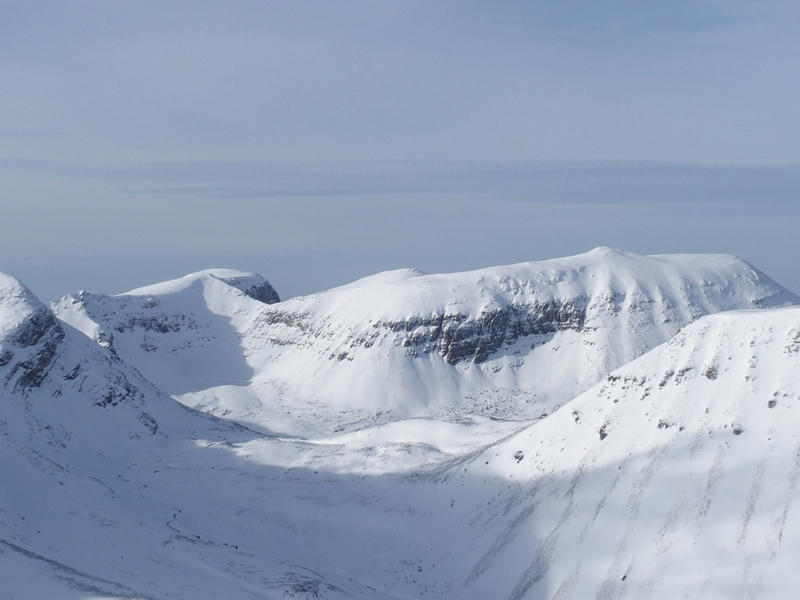 The Fannichs from Beinn Eighe. 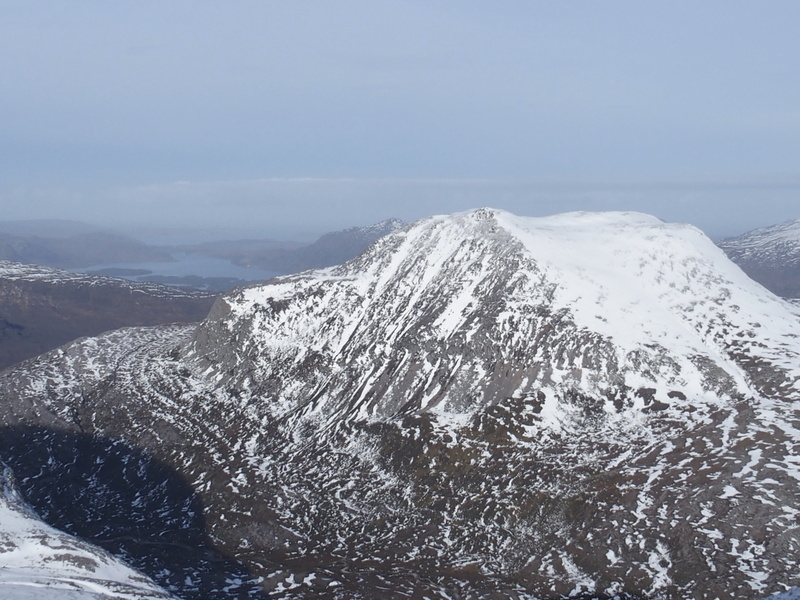 The East ridge of Creag Dhubh, Beinn Eighe. 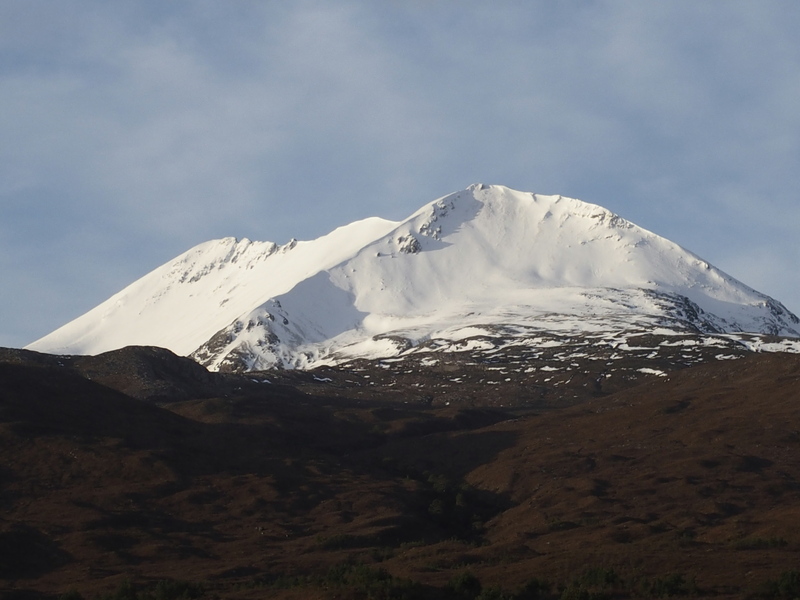 The Black Carls, Beinn Eighe. 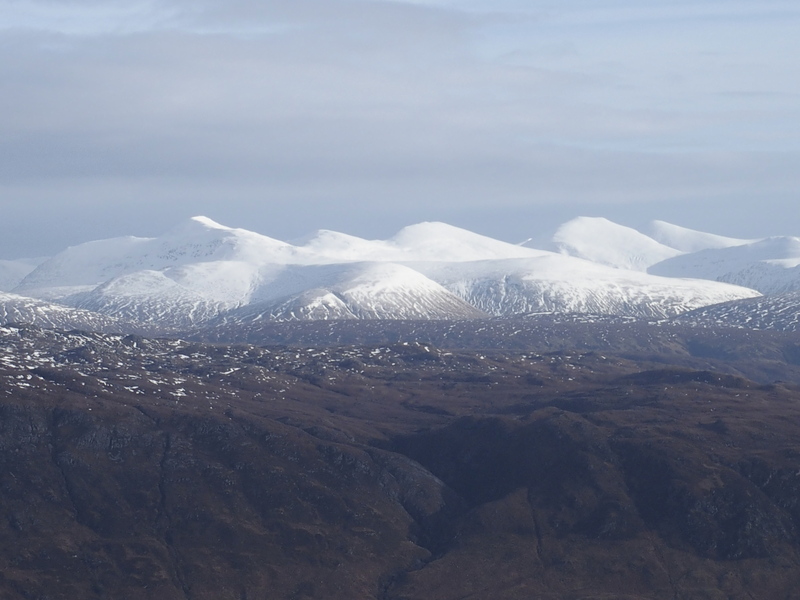 Slioch on the left and the Fisherfield mountains more distant on the right. 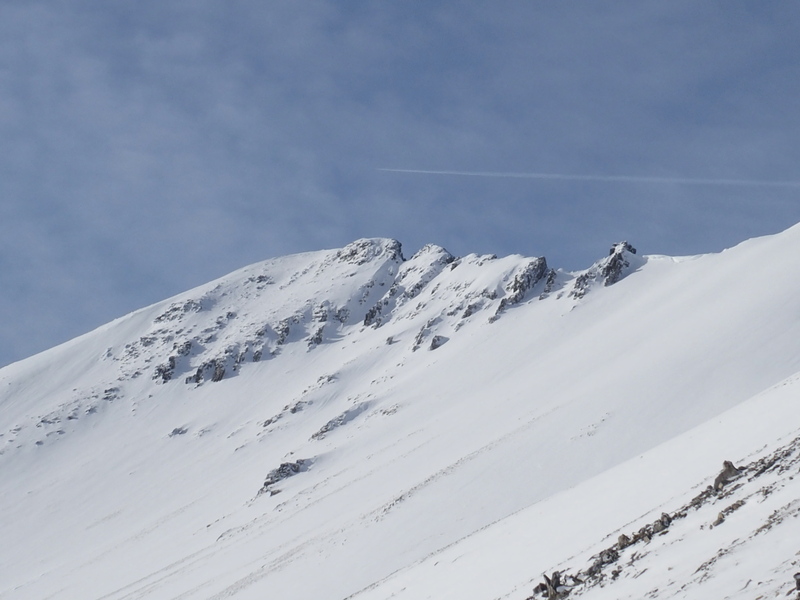 Debris from cornice collapse on a South aspect on Beinn Eighe. This probably happened in the warm, wet weather on Friday. Rhuadh-stac Mor from Creag Dhubh. 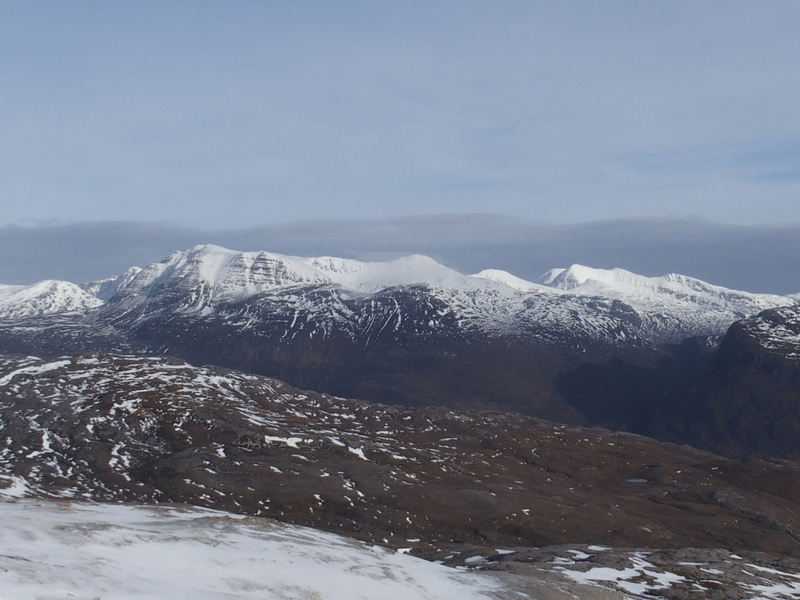 Meall a’ Ghiubhais with Loch Maree behind. 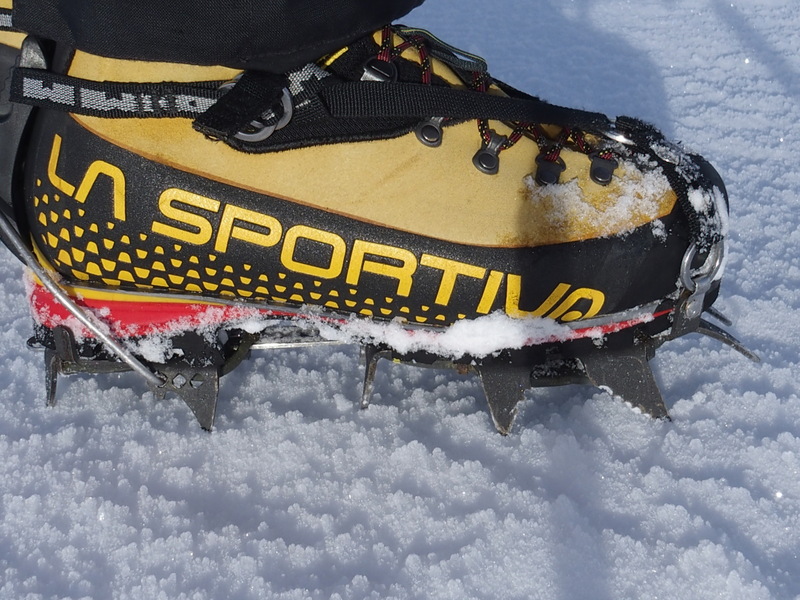 Even crampon points weren’t penetrating the snow much today.